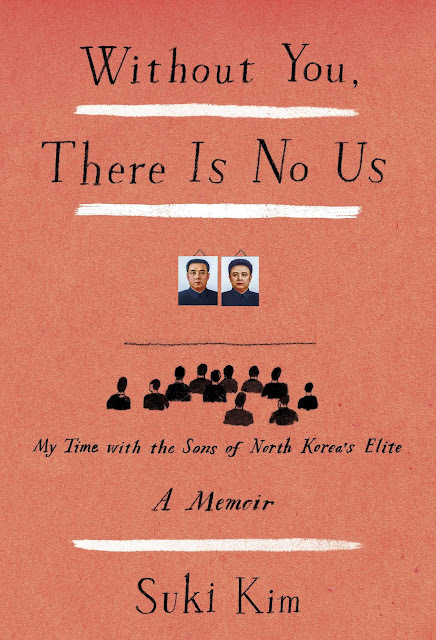 Suki Kim’s memoir, Without You, There Is No Us, recounts her time abroad teaching English in North Korea. A South-Korean American, Kim worked for years traveling internationally working as a journalist. Drawn to her Korean roots and intrigued by the mysterious life within the Democratic People’s Republic of Korea, Kim manages to secure a position as a Christian missionary sent to teach young men at PUST (Pyongyang University of Science and Technology), one of the internationally-funded elite academies for North Korea’s well-connected upper-class children. Though the first few chapters are plagued by chronological confusion concerning Kim’s timeline in North Korea (she jumps from trip to trip, blurring the lines between visits and making it difficult to distinguish her first impressions from those gathered from extended experiences), Kim’s sojourn as a journalist-in-disguise gives an eye-opening view to the closed-door nature of the DPRK, their violent hatred and distrust of Americans, South Koreans, and Japanese, and the depth of the fictional reality the country’s dictator has been able to successfully embed within the minds of its citizens. While Kim maintains distance between her personal life and her live in North Korea—she doesn’t even disclose the name of the on-and-off-again boyfriend she continually refers to throughout her time abroad—she carefully details what life is like for those able to cross the country’s border and what she encountered in her time spent teaching some of its brightest pupils. Dress modestly, conservatively, professionally, yet plainly. When leaving campus on chaperoned trips, beware of everything you say, do, or encounter. Bring your own medication with you. Your laptop and your possessions may be monitored. You cannot count upon heat and electricity at all times. Censor you conversations with students, never discussing anything political or personal and refrain from showing pride in your native alien culture. Never pray publicly and never discuss religion—it is against the law. Never suggest that life in North Korea is not what it ought to be. All communication and internet use will be monitored and internet in North Korea is not what it is in the rest of the world. Always speak positively of your time in North Korea. Beware the literature you bring into the country. Be meticulously correct in your terminology referring to the Great Leader, Dear Leader, or Precious Leader or avoid use at all. If asked about politics, end the conversation. Never discuss reunification with South Korea and watch the vocabulary used to refer to these two countries—North Korea is always chosun. Never speak in Korean and only in English, being aware that many around you speak English and will listen in on every word you say. Never make cultural comparisons (this might suggest North Korean inferiority). Kim grows to truly love the two 25-student classes she teaches at PUST though she is constantly forced to watch what she says when with them. As she slowly gains her students’ trust, she learns more and more about their personal lives (they are essentially cut off from any contact with their family), their views of the world (they believe in North Korean superiority in all senses of the word and believe the U.S. is the source of all evil), and the way the country treats its citizens (long seven-days-a-week workshifts in construction camps and mines, decades of required military service, fear of failure, death, and violent repercussions, zero contact with the outside world, and North Korean-authored textbooks that embed alternate realities into the the minds of its citizens). Readers at all familiar with the country’s self-constructed identity as the world’s greatest in everything will quickly identify this attitude amongst Kim’s pupils. The more time she spends in North Korean (Kim returns to the U.S. over a summer break but feels compelled to return for another term), the more she begins to try to undermine the country’s dictatorship by showing her students bit by bit that there is an entire world outside their realm of understanding. Not only does she try to expand their ability for self-expression (essays and letter-writing are unknown genres within North Korean culture), Kim tries to tell them more and more about life in the world at large, including food, culture, language, technology, medicine, social structures, media, and entertainment. However, she must tread carefully and by the time she leaves—right after news of the death of Kim Jong-il—she doubts whether she would ever be allowed to return. I enjoyed reading Without You, There is No Us and felt it offered great insight into one woman’s perspective on life within North Korea. Having previously read Escape from Camp 14 (read my review here), the more I learn about the country the more it’s like falling down a rabbit hole, yet knowing the whole time that the narratives you’re reading aren’t derived from fiction, but modern-day reality. Hi, Feisty! I haven't yet read either of those titles but they're on my North Korea to-read list along with "Stars Between the Sun and Moon: One Woman's Life in North Korea and Escape to Freedom." Thank you for the recommendations! I love them.